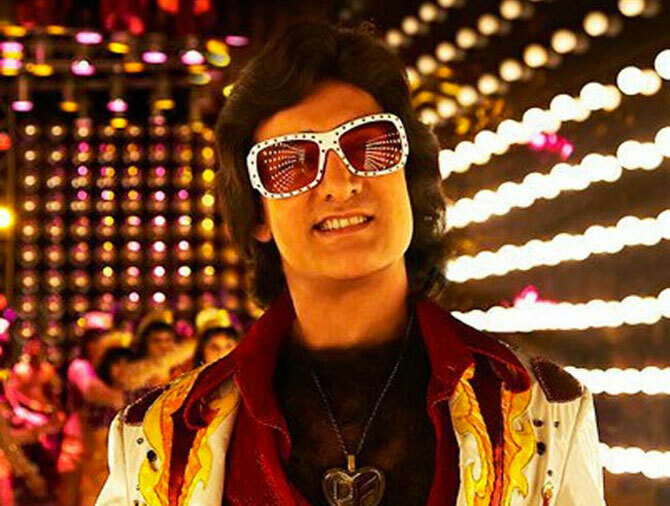 Rediff.com » Movies » Bollywood's love for BIZARRE sunglasses! Will you wear these shades? Want to feel like a star in 15 seconds? Just throw on a pair of groovy goggles and you're good to go. Ask our Bollywood celebrities, who'd rather sit home than step out without this indispensable accessory. 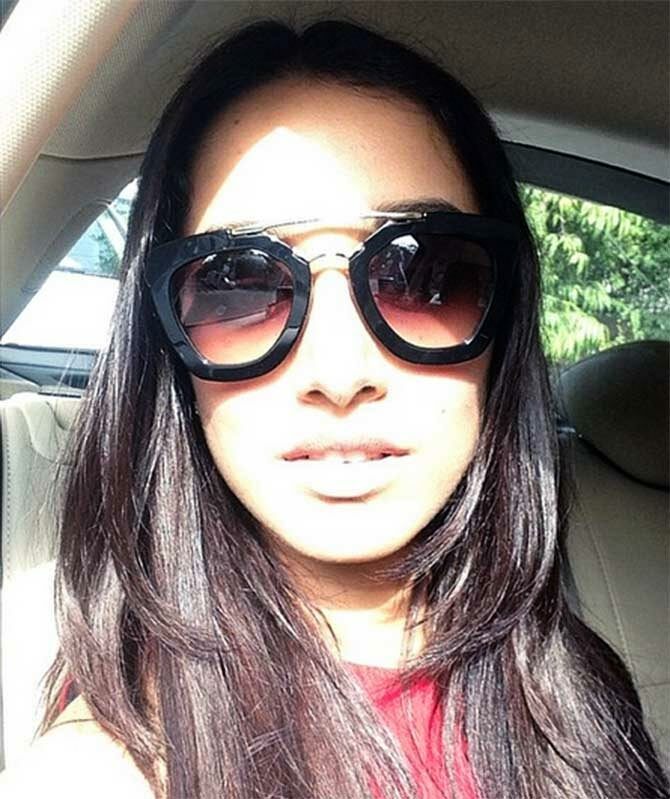 Day or night, nothing cries stardom as loud and clear as designer sunglasses. On Instagram, Karan Johar posed in a design that wouldn't seem out of place in an X-Men movie. 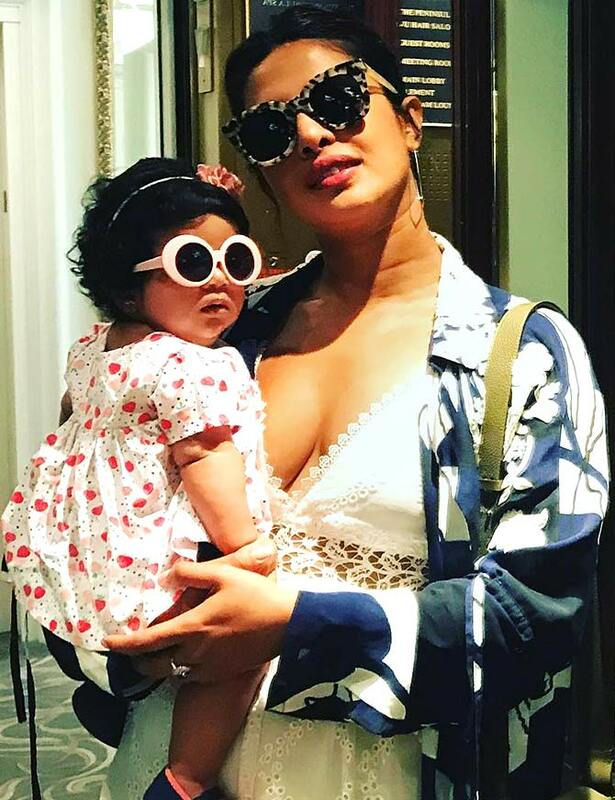 On that note, here's looking at the bold, bizarre sunglasses sported by our stars at work and off duty. When you've got bulbs all over your body, it makes sense to wear shield-like sunglasses so that you are not blinded by their brilliance. We love how the Dangal star compensates for his sober real life persona with dhinchak appearances like this one. This Baywatch hottie may have conquered Bollywood and Hollywood, but the trolls won't leave her alone. Bet those glares come real handy when it comes to ignoring them. 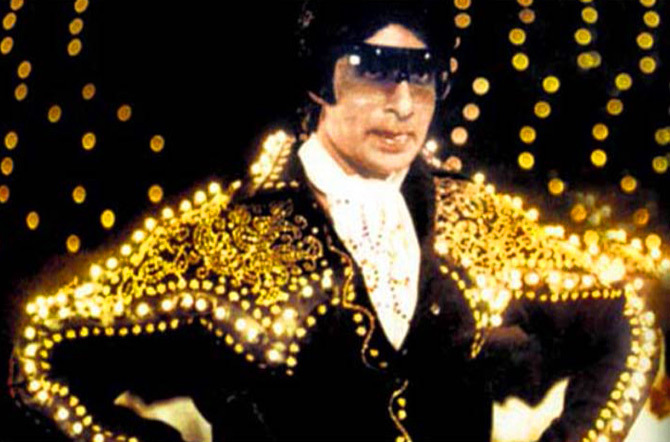 With twinkling LED rims, this could only be Govinda. There's never a dull moment around the King of Kitsch. Geometry geeks, identify the shape of Kriti's hip glasses. The rest of you; go grab a bite of Bareilly Ki Barfi. 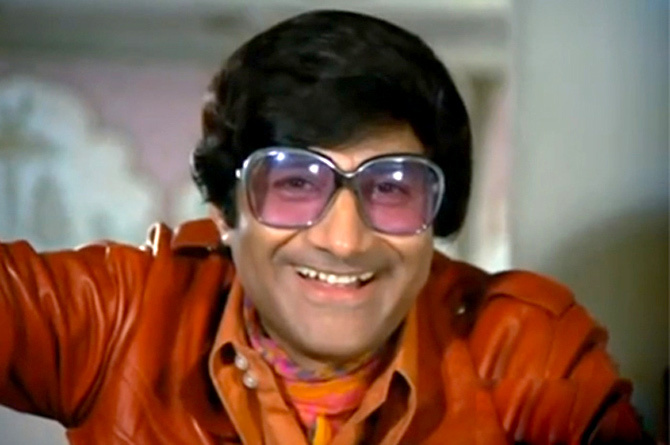 Remember that time when the dashing, debonair Dev Anand went all bug eyed on us? 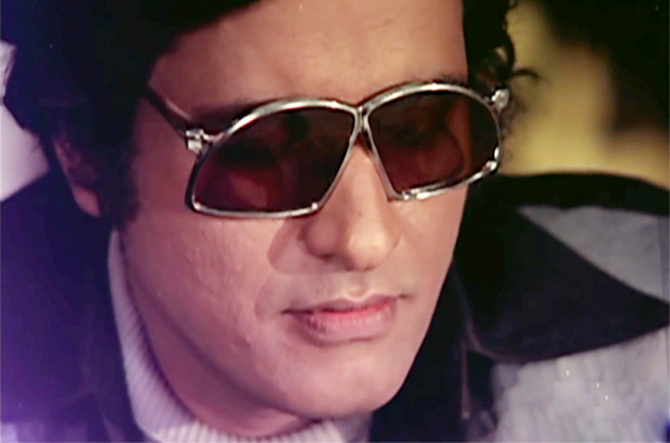 From Bharat Kumar to Batman Kumar, we'd love to hear your feelings on the legend's too-cool-for-school sunglasses. Oh, look who's big on red tinted sunglasses besides Natural Born Killers' Woody Harrelson! When Singapore Sling met Blue Curacao -- cocktail for sore eyes, anyone? The High Priestess of Fashion flaunts her flamboyant sunnies like a weapon to hoodwink a brand new bakra in the con caper, Dolly Ki Doli. 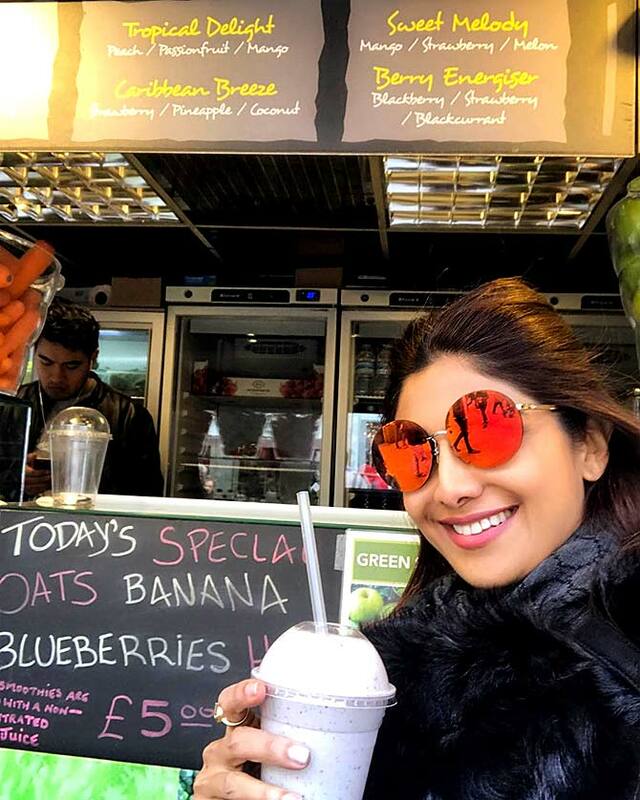 Never too shy of trying out the latest trends, Bips is on point in her browline sunglasses. 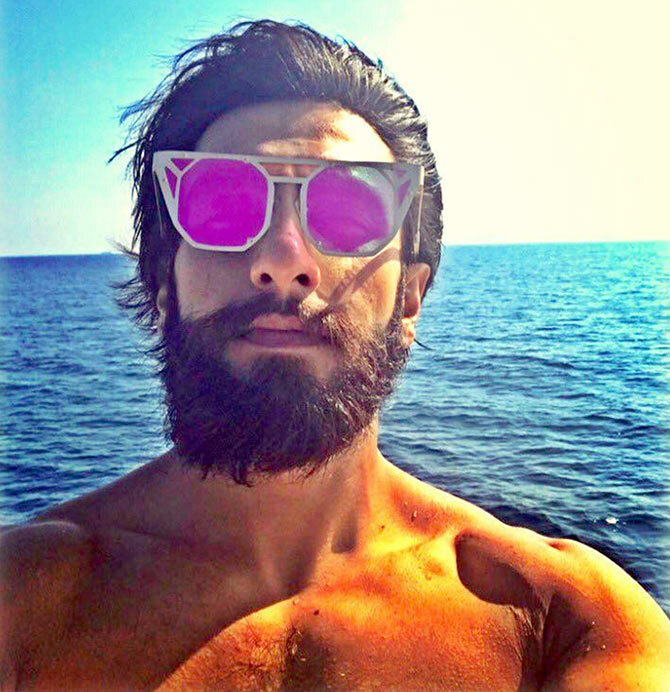 Shotgun Jr is quite the Dabangg fashionista when it comes to funky frames. 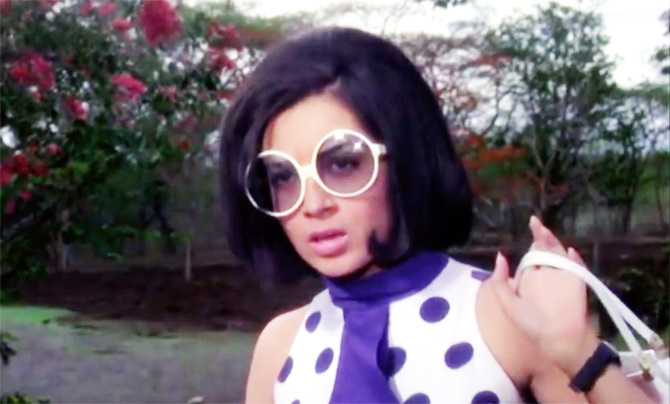 Babita almost makes us miss the seventies in these XXXL sunglasses. The classic Rekha loves her kanjeevarams, bling and ruby lips. But the adventurous Rekha, oh boy, words fail us.